Absolute Bliss Imerovigli Suites benefits from an extraordinary cliff-side location in Imerovigli Santorini. The hotel is located at one of Santorini’s most privileged points, offering spectacular views of the majestic caldera, the small island of Thirasia, as well as the picturesque village of Oia. Imerovigli lies on the famous walking path connecting Fira with Oia. Fira, Santorini’s capital and largest town, is only two kilometers (1.2 miles) from Imerovigli and it also overlooks the caldera. Full of traditional restaurants, exclusive shops and intense nightlife, Fira will not disappoint you. 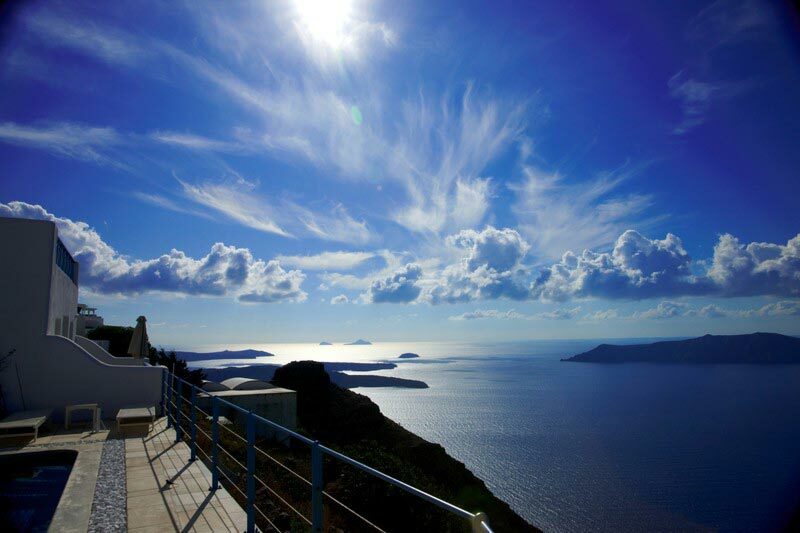 The half-hour walk from Imerovigli to Fira will reward you with some of the best views of the island. 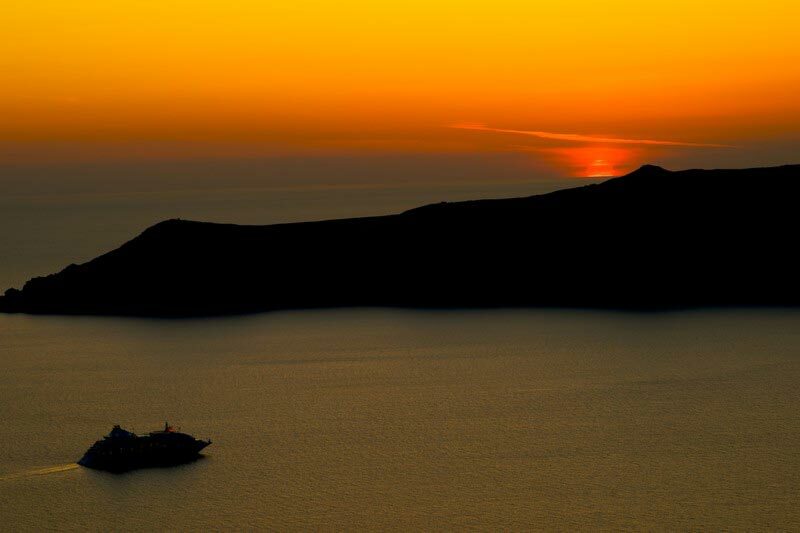 Oia, one of the best known locations worldwide for sunset views, is 9 kms (5.6 miles) from Imerovigli. No visit to Santorini is complete without one or more visits to Oia! You can either take the easy walking path, opt for a bus or private transfer, or even rent a car. Once in Oia, you can enjoy the sunset from one of the numerous restaurants and cafes, or walk up to the Oia Castle. The entrance of Absolute Bliss Suites Imerovigli, Santorini is right on the main street in Imerovigli. Our friendly personnel will assist you, carrying your luggage to your room. Transfers from the airport or from Athinios port can be arranged upon request. Prior to your arrival, we can also e-mail you maps, assist you with booking any day-trips on Santorini, and offer any other information you may need. Public parking facilities exist at a few meters’ distance from the hotel. A mini market and a pharmacy are also in close proximity. Wander around Imerovigli’s white-washed footpaths, discovering the village’s exclusively romantic atmosphere. Throughout the village, you can enjoy the unique view to the caldera. 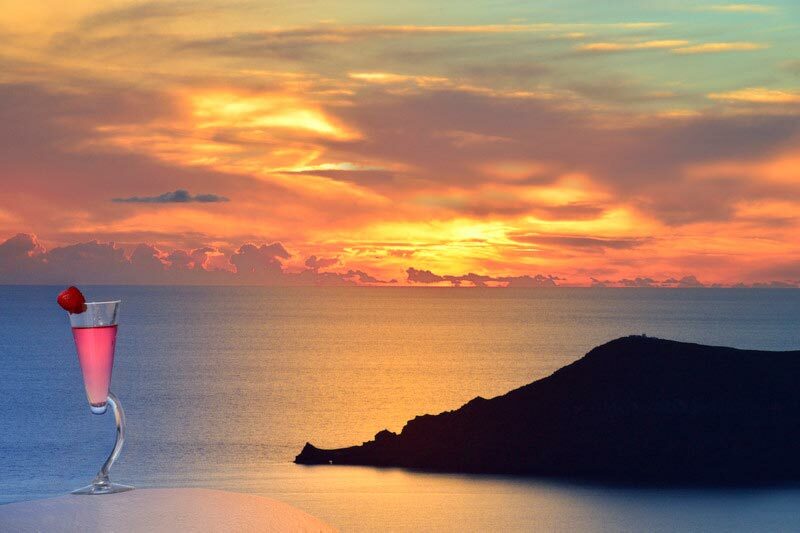 Take some time to relax and watch the sun set in the Aegean Sea, from one of the village’s picturesque cafes or traditional tavernas. 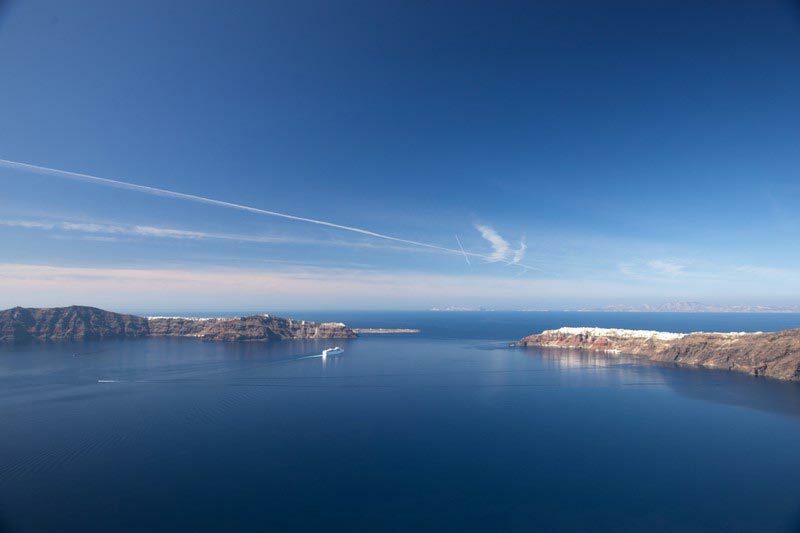 A landmark near Imerovigli is Skaros, the rock that has been the watchful guard of Santorini for centuries. The walls of the fortress, which was built to protect the island from the pirates, still exist. You can also visit the metropolitan church of the village, the Virgin Mary Maltese, and its notable iconostasis, filled with presentations from the Old Testament.